Everyone should be proactive in monitoring their health, but certain types of disease or other ailments are often not so easy to identify. 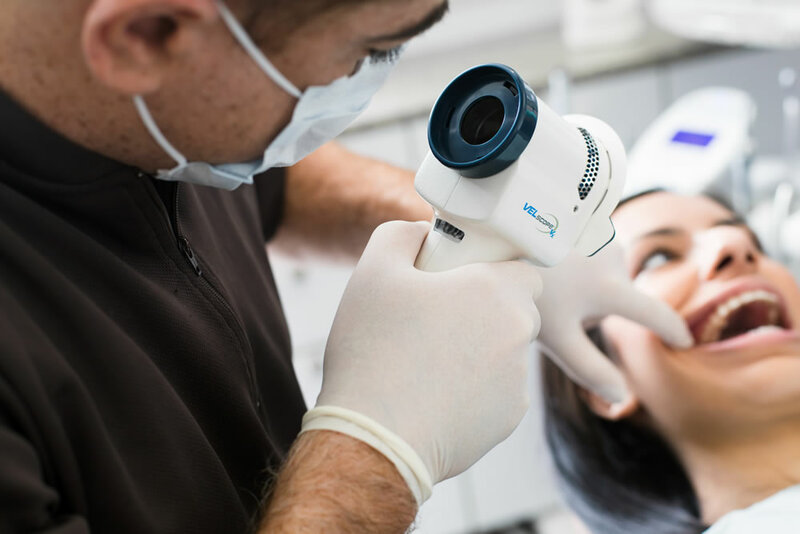 Cancer can be one of them, and oral cancer screens are increasingly popular these days with folks who want to be sure they benefit from early detection in the event of a diagnosis. Oral cancer rates are rising in North America, and primarily as a result of HPB (Human Papillomavirus). Here at Olympic Village Dental we operate a handheld oral assessment scope called a VELscope. It illuminates the entire oral cavity with a fluorescent light that indicates abnormal tissue to Dr. Ezzati or one of his dental assistants. These tissues are most often benign with no need for further concern, but we are able to arrange a referral to a specialist for a biopsy if needed. Our VELscope is an excellent advanced oral cancer screening resource for our Vancouver patients.